There isn't a huge amount of difference from comforting a friend over the loss of a cat than for the loss of a human family member. 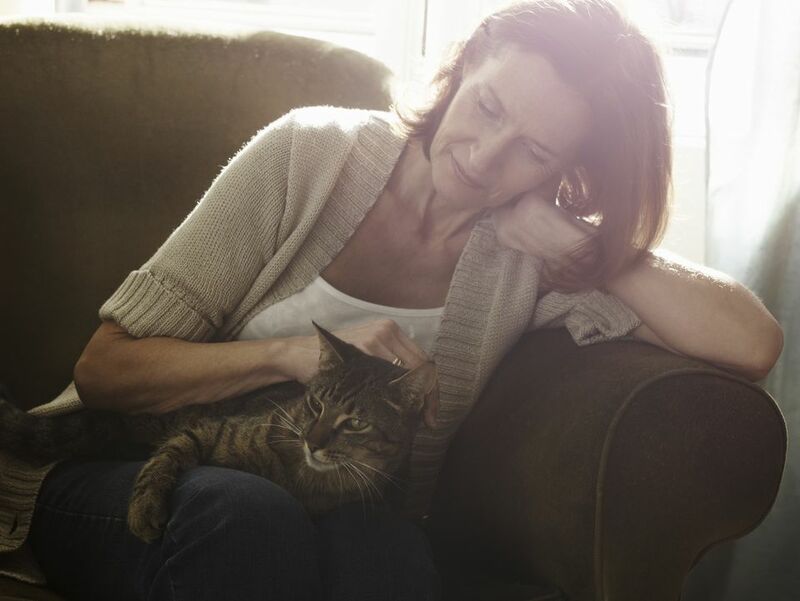 As you are likely aware, most of us consider our cats as family members. When a human is terminally ill or has died, people often make the mistake of saying, "Let me know if there is anything I can do to help." While that may offer some small degree of comfort, it is rarely acted on by the recipient who may be hesitant to come out and ask for specific ways of helping. Baby-Sit Other Pets: You might ask if you could care for other pets, so your friend could spend more time with the pet. She may be feeling guilty for ignoring other pets because her sick cat requires so much of her time. Or, she may just appreciate more quality time with her sick cat. Offer to do Shopping: It's common for the pantry to grow bare under these circumstances, because there's no time for shopping, or because the caregiver is reluctant to leave the cat home alone for long. If your friend is shy about giving you a shopping list, offer to care for the cat while she does errands. Bring a Home-Cooked Meal: It's likely that your friend rarely takes the time to prepare her own meals because she's concentrating on caring for her pet. Unless you and your friend visit back-and-forth regularly, call first to see when it convenient to drop the food by. "Can I Drive you to the Vet Clinic? ": If the pet is still alive but very close to the end, you could ask if he/she would like you to come along for support when the time comes. She probably won't be fit to drive safely herself and will appreciate the comfort and the shoulder to cry on. I'll never forget my neighbor's kindness in driving us when I had to take that ​last rush trip to the vet with my dying Shannon. Most important of all, talk to your friend. Many times, people are holding in all sorts of fears, anger, and guilt that maybe they aren't doing enough for their pet. Or if the pet has recently died, that they didn't do enough. Sometimes, all you need to do is listen, and nod; give assurances that he/she was a good pet parent, and did everything possible that could be done. If she had to make the decision to euthanize, there will undoubtedly be guilt feelings over that. That decision is the kindest, most loving and selfless decision any of us will have to make for a loved pet, because we're doing it for the pet, not for ourselves. You can use those exact words if you like. Also, tell your friend that it's okay to cry, then do what comes naturally, if the tears start to flow. Under either circumstance, do what you can to focus a conversation on all the good memories around that pet.